Privately owned, recently renovated V.I.P. 3 bedroom/3 full bath villa, located just steps from two golf courses and a 8 minute walk to the Sea Pines Beach Club. #21 is unique in that each bedroom has its own private bath-a feature not many villas have. Free high speed internet and an awesome view of the new Atlantic Dunes Golf Course. Downstairs master bedroom with brand new king bed just a few weeks ago. The second bedroom has a queen bed. The third bedroom has two twin beds. We keep our kitchen emaculately clean and full stocked so that you can choose to eat in or dine out. 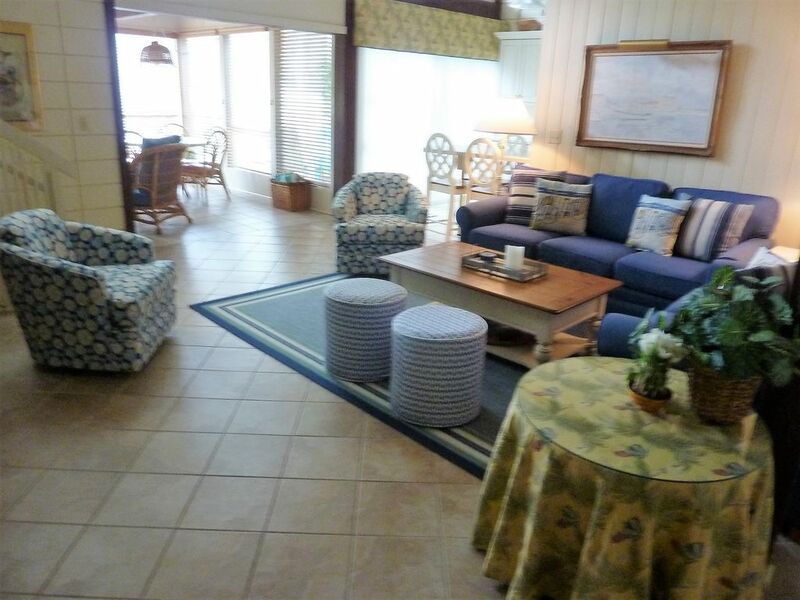 Enjoy all that Sea Pines has to offer from this centrally located, comfortable villa. Beautiful views and everything you need for a wonderful vacation are included! Our guests will enjoy miles of leisure trails, biking to Harbor Town or South Forest Beach Marina, tennis, golf, beach, pool, horseback riding, dining, and shopping. Free Fitness Center pass includes access to an indoor pool, spa and health club facilities.